You are growing older every passing day. Does this worry you and stress you out? Why? You’ve lived your life, and now is the right time to relax and be care-free. Yes, your physical health and fitness might lead to problems, which somehow magnify if you income is barely enough for retirement years. But don’t worry, if you take care of a few things, you can be healthy and happy in old age too. Here is some great advice that you should act upon to make the most out of your twilight years. 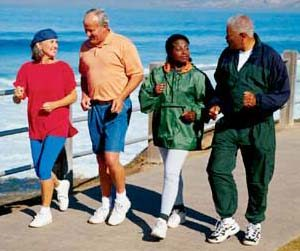 Make it a daily habit to indulge in physical activity on a daily basis. Walk, play your favorite sport, join a fitness program or do anything else that’ll make you sweat. Also have a well balanced diet. If you are a heart or diabetic patient, stay away from oily and sugary foods. Medical emergencies can strike any time, and you should always have a plan to pay off the bills. One way to do this is to get insurance. If you are covered, your health and medical bills will no longer be an issue such as intensive care, emergency visits, x-rays, cardiothoracic care and joint replacement.. Compare different options. Similarly remove the pressures for your next generation with worry-free insurance plans that cover all the essentials. Another way of doing this can be to set up an investment plan. Engage a buyer’s agent and discuss your options with them. They’ll study your interests, finances, risk profile and goals, and accordingly come up with a suitable investment plan. You are more prone to falling as you grow older. If you have any lose carpets or rugs, remove them so there are no chances of tripping over. Clear all clutter from the pathways. During night time, lighting should be sufficient inside and outside so that you can see clearly when moving. Wear really comfortable shoes, and if your knees or leg pain you, buy some mobility aids such as a walker or stick so that you can get around easily. If your skin ever burnt when you were younger, you have a chance of developing skin cancer later on in life. Research states that at least 67% of people are diagnosed with skin cancer before they are 70, and if you are a male, the risk is higher. Why does your cancer risk increase with age? It’s because your skin becomes drier, thinner and less elastic. You can decrease the risk by keeping the sun off your skin as much as possible by wearing long sleeves or ankle length pants, and wearing screen when you are outside. Plenty of information is available in regards to cancer awareness, so that you can learn and notice the symptoms at an early stage, and seek professional help immediately. Practice yoga, meditation or anything else to help you cope. Develop a social life, make friends, and often hang out with them. Act on our advice, and be happy, healthy and stress-free in your twilight years. Andy Caton is a writer and marketer for Patient Handling. When he's not working, he dabbles in film photography, cinema, and poetry. Another tips is add some type of strength training to build muscle. This will aid in the fall prevention category.